Are you experiencing issues in your car’s subsystems? Has the check engine light turned on unexpectedly? 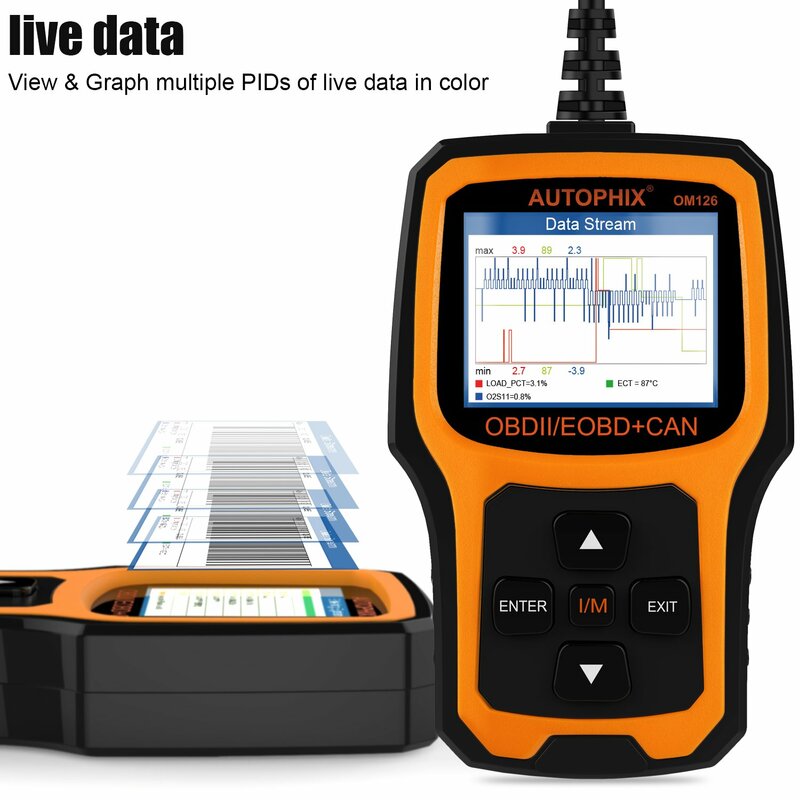 AUTOPHIX OM126 car code reader helps diagnose such errors in an attempt to clear them. 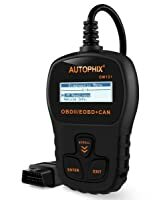 The Autophix OM126 is an affordable and innovative solution for the average DIYer looking to sort out issues of the check engine light. Additionally, it can be used in a repair shop by professional mechanics. Scanning tools utilize an onboard diagnostic system that assists in accessing the vehicle’s operation through the onboard computer. You save yourself a hectic trip to the mechanic by simply plugging it into your car’s system. Considering the various brands in the market, choosing the best scanning tool for your needs can be hectic. The best scanning tools should offer the appropriate features that help you in testing, running diagnostics and accessing the vital supplemental systems of your car. The AUTOPHIX OM126 is a cutting-edge model that performs an array of system diagnostics. The code reader has enhanced functionality in reading and clearing trouble codes. It supports 10 full modes of OBD2 functions. This means that you can quickly and easily troubleshoot the errors in your vehicle’s subsystem. Furthermore, no longer have to worry about the engine check light. 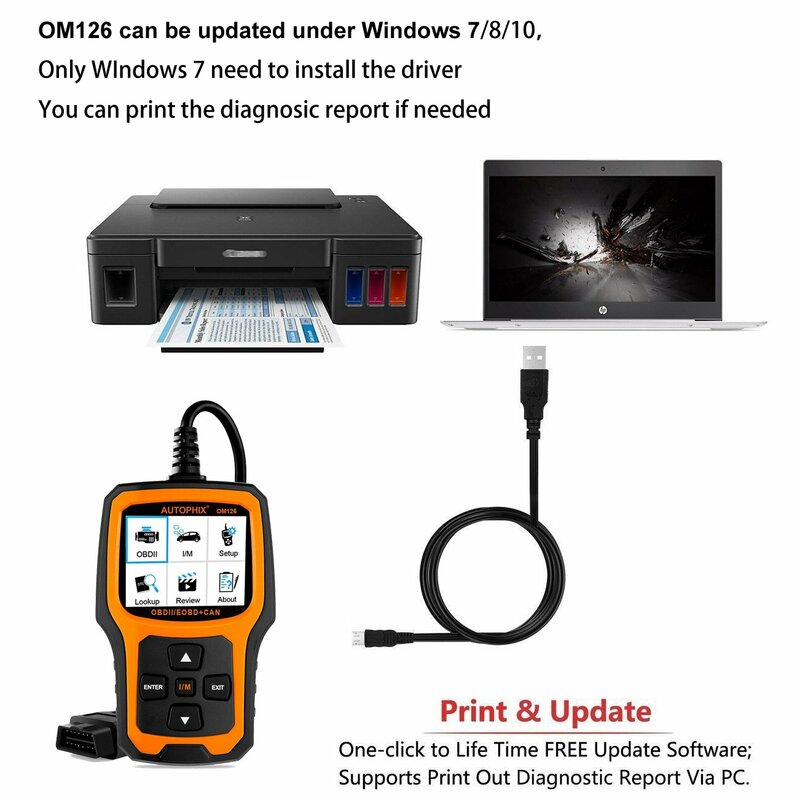 By using the AUTOPHIX OM126, you can identify the source of errors and reset the monitors. The code reader supports a readiness test that prevents all occurrences of rejection during the annual inspection. It evaluates all the emission systems while showing you the real-time data of their status. This helps you know if your car has passed the smoke emission test. It evaluates all the emission systems while showing you the real-time data of their status. 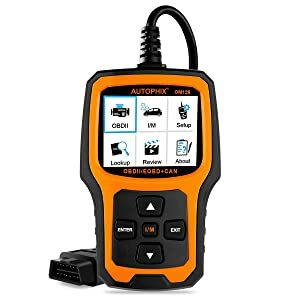 Before going through the hassle of taking your car to the mechanic, the AUTOPHIX OM126 diagnostic tool helps you to understand your car’s issues. It enables you to save time and fees. Compared to other code readers in the market, the AUTOPHIX OM126 provides fast reading and clearing of emission-related codes. For engine light OBD, the scanner uses the STM32 chip. When you erase the codes from the car’s subsystem, the engine light will automatically turn off. When you erase the codes from the car’s subsystem, the engine light will automatically turn off. The DTC lookup assists the user to quickly search for the definitions of the DTCs within the library. Additionally, it also gives code breaker information. AUTOPHIX OM126 allows you to view all your vehicles information such as CVN, CID, and VIN. To monitor your car’s fuel tank integrity, the code reader lets you carry out a leak test for the car’s EVAP system. The stream live sensor data supports the Evaporative Control System that is helpful in identifying system leaks. The sensors display relevant information such as the air/fuel mixture and temperature. One of the main reasons that check engine light comes on is a failed oxygen sensor. 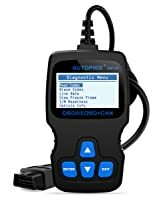 The AUTOPHIX OM126 scanner enables you to stream your vehicles Oxygen values to prevent any future errors. If you want to check the status of specific components of your car, the onboard monitoring test allows you to read the results of different systems. Do you need to test if you have passed the emission test? You no longer need to drive to the inspection station. 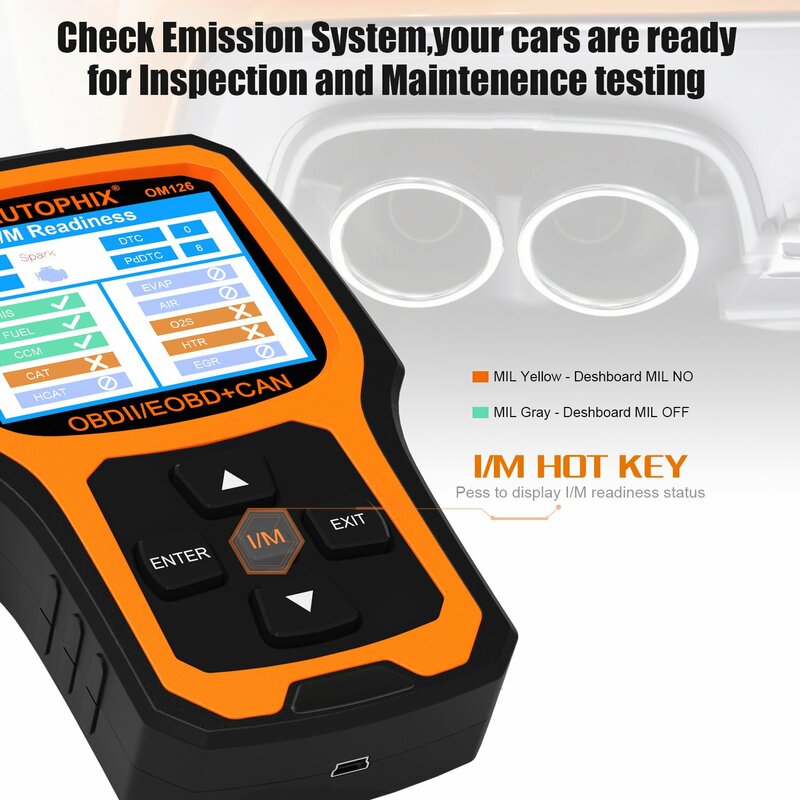 The AUTOPHIX OM126 allows you to assess the readiness of your car to pass the test. The code reader has a feedback function. It helps to record all issues in the vehicle’s system and later on sends feedback assistance to your email. EU based cars from 2000. Additionally, the scanner has a multi-language system that supports Portuguese, Russian, German, English, Spanish and French. It’s one of the few scanners that endorses a multi-language system. The display provides a view freeze frame that shows live data in the graph and text formats. The freeze frame takes a snapshot of all the operational conditions running at the time of the fault. It features a color display screen that you can’t find in many OBD2 scanners. The data stream allows you to view all the items within the stream and waveform. You can efficiently review the DCT while accessing the automated VIN acquisition. The freeze frame takes a snapshot of all the operational conditions running at the time of the fault. Besides, it has buttons that increase the ease of use. The up and down buttons assist you to navigate the diagnostic menu while the middle I/M button allows you to carry out the emission test. Regarding the Software, the AUTOPHIX OM126 ensures free software upgrades for a lifetime. It makes sure that you are always up to date with the latest trends in technological advancements. To activate the updates, you only need to download the file from the company’s website. You can update the OM126 on Windows 7/10/8, however, to install the initial driver, you require the Windows 7. 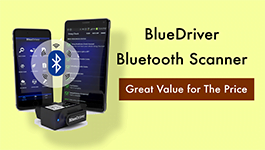 Does not require any batteries; you can simply plug it in your vehicle. Its instruction manual is poorly printed and formatted. The plastic casing can easily break especially when used in a repair shop. Bottom Line Autophix OM126 is for young average car owners or DIYers. 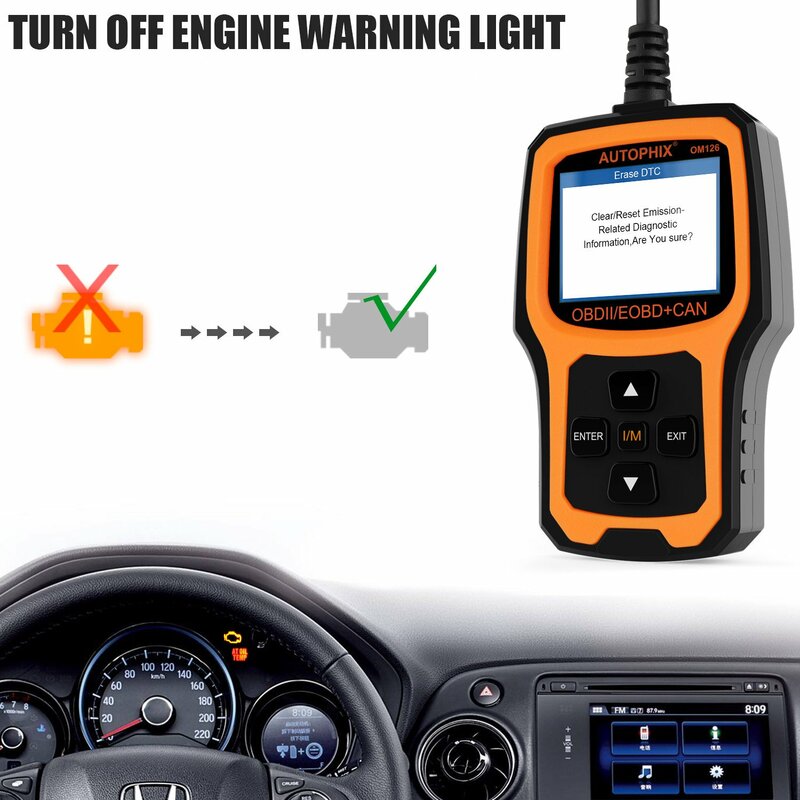 Autophix OM123 is for any car owners who want to read and clear DTCs. Autophix OM121 suits any beginners to turn off the MIL. The Autofix OM126 is an affordable and innovative solution for the average DIYer looking to sort out issues of the check engine light. Additionally, it can be used in a repair shop by professional mechanics. The AUTOPHIX OM126 is battery free. To power it, you need to plug it into your car using the OBD2 port. It has a micro USB port that helps you to link it to your computer. This will assist you to update all the latest software. When looking up the codes, ensure to move from the left to right. To press enter or select, hold the up or down arrows. In this post, you will find the 10 best Jump Starters in the market 2019. Are you looking for a professional automotive scanner with advanced functionalities? There can’t be an any better option than the Autel Maxisys Elite. Check it out NOW! The amount of features it has compared to the price makes the Innova 3100i Scan tool one of the most attractive on the market. Check out the details NOW!